Broadway legend Andrea McArdle, who originated the title role in the mega musical "Annie," along with platinum recording artist and Broadway star Rex Smith, whose Broadway credits include "Grease," "Sunset Boulevard" and "Kiss Me Kate," will star in our Summer Musical, "I Do! I Do!" The story of a marriage is at the center of Tom Jones' Tony Award winning musical—an intimate, nostalgic and funny work by the authors of "The Fantastiks." The show begins with Michael and Agnes on their wedding day and traces their life together over a period of 50 years. In that time we watch them go through their wedding night jitters, raise a family, quarrel, reconcile, negotiate mid-life crises and more, all lovingly to the strains of a tuneful charming score which includes the standard "My Cup Runneth Over." This show will sell out quickly, so book soon! ANDREA McARDLE first captured the hearts of theatergoers everywhere in 1977 when she originated the title role in the mega-musical ANNIE. As “Annie,” Andrea became the youngest performer ever to be nominated for a Tony Award as Best Lead Actress in a Musical. She also received the Theatre World and Outer Critics' Circle Awards for her performance and went on to star when the show was produced on London’s West End. Since then, she has starred in several Broadway musicals and appeared in theatres in New York, nationally and internationally. She has performed in concert halls from Carnegie Hall to the Hong Kong Philharmonic and casino hotels in both Las Vegas and Atlantic City. She has honed her craft by working with some of the great legends of the entertainment industry such as Ethel Merman, Liza Minnelli, Julie Andrews, Bob Hope, Liberace, Frank Sinatra, Steve Martin and Martin Short, to name a few, and was privileged to have appeared on television with Johnny Carson, Merv Griffin and Dinah Shore. Andrea has also starred on Broadway in JERRY’S GIRLS, STARLIGHT EXPRESSS, STATE FAIR, LES MISERABLES and most recently as Belle in Disney’s BEAUTY AND THE BEAST. Andrea’s film and television credits include starring as Judy Garland in RAINBOW, appearing in THE LEADING LADIES OF BROADWAY on PBS, ALL MY CHILDREN on ABC and headlining her own PBS special ANDREA McARDLE ON BROADWAY. 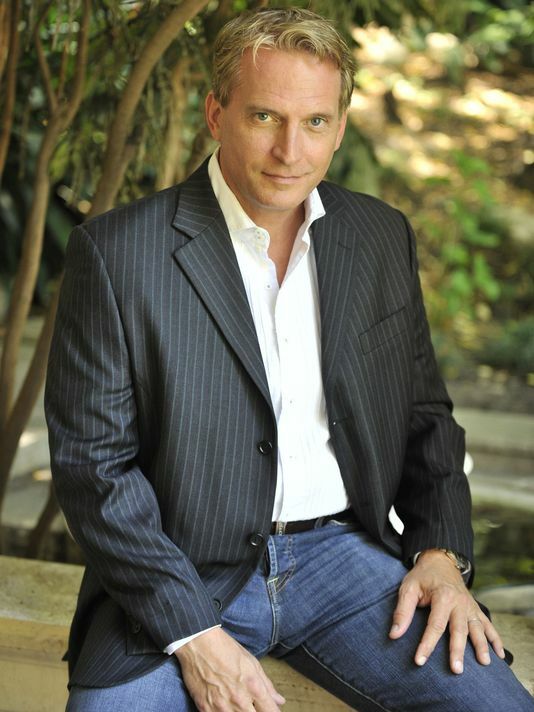 REX SMITH is a platinum recording artist and a veteran of stage and screen. Rex’s most notable Broadway credits include starring roles in "Grease,” "Grand Hotel," "Sunset Boulevard," "The Scarlet Pimpernel," "Annie Get Your Gun,” and "Kiss Me Kate." Rex received the Theatre World Award for his memorable portrayal of Frederick in "The Pirates of Penzance.” Regional credits include "Westside Story," "The Sound Of Music," “Heathers The Musical,” “Hands On A Hard Body,” Neil Simon’s “Plaza Suite” and “Barefoot In The Park,” “Love Actually, Live,” and many others. Rex expanded his career to encompass TV shows and Feature Films. Rex starred in the series "Street Hawk," "As the World Turns," and also hosted "Solid Gold." He was featured in Danielle Steele's "Once in a Lifetime," "Passion to Kill," and "Ballerina and the Blues." Rex has guest starred on numerous prime time television shows and movies including "Daredevil," "The Sentinel," "JAG," "Baywatch," "Caroline in the City," "Just Cause," "Pope Dreams," and John Schneider's "Collier & Co."
Rex’s international television and concert performances have brought him famed recognition in many countries spanning Canada, Europe, Asia, and the Philippines. Due to widespread popularity, Sony Music re-released all six of Rex’s albums including the platinum album hit “You Take My Breath Away” available on CD, iTunes, and Amazon.com; as well as, the now available new DVD Box Set release of Rex Smith as “Jesse Mach” in the series “Street Hawk” in Europe and the U.S.